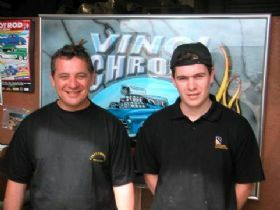 Vinci Chrome was established in 1985 by Charlie Vinci who has been in the chroming and polishing industry for more than 34 years. 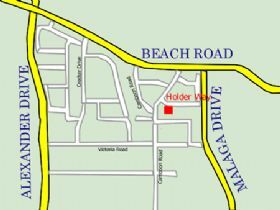 The workshop in Malaga uses state of the art equipment and procedures to achieve a high quality result. 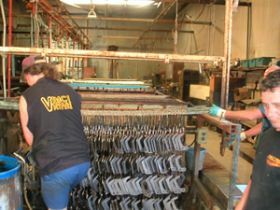 We can provide a number of finishes for customers depending on their requirements. The steps for gold plating are much the same as for brass. However in this case the gold is dissolved in a solution and exists as individual single ions of gold. When deposited onto the nickel substrate the gold deposit is virtually pure gold (24 carat). Because gold is such a stable material (it does not corrode) the thickness can be reduced to less than 1 micron. The biggest problem with gold is that it is a relatively soft material and hence when there is any likelihood of wear a protective coating is applied. Components likely to require this coating include things like door handles, tap wear or handrails. 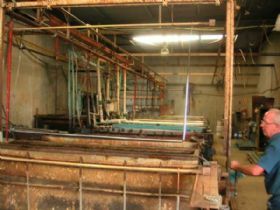 Since the 1930s chrome plating has been synonymous with electroplating and even today by far the most common form of plating is still with chromium as the final decorative coal. Unlike gold or brass plating, chrome plating needs no further protection. The secret to chrome plating is that the chrome forms a very hard oxide coating which forms rapidly but then protects the surface from further oxidation and is also very resistant to wear. In fact there is a process called Hard Chrome plating and this is done specifically to improve the wear and life of components such as crankshafts. It is for these properties that chrome has remained so popular for so long There has been a revival of chrome plating with the popularity of the more natural metallic finishes such as brushed or satin chromes. Unlike the standard bright chrome, brushed chrome is done by carrying out a satining polishing process after having first done a conventional nickel plating. Following the satining process the component is then replated with chrome as before and the result is the soft brushed appearance. This finish is quite a good match with the No 4 finish of stainless steel. For classic car, hot rod or street machine enthusiasts nothing matches chrome plating for restoring that sparkling brand new look to all your metal surfaces. And thats not all it does! Apart from giving you a brilliant shine and lively lustre with a quick swipe of a polishing cloth, chrome plating also saves you money. We all know how quickly rust destroys metal surfaces and how quickly moving parts wear out. But, have them chrome plated at Vinci Chrome and you will more than treble the life of all your metal parts - moving or not. That special gleam and an extra long life are the hallmarks of chrome plating making it an obvious choice for all who take pride in the appearance and longevity of metal parts. Chrome plating is resistant to abrasion, corrosion, heat, chemicals and all forms of wear and tear. Industrial hard chrome plating not only repairs damaged or worn parts but it also extends their service life. It combats friction, corrosion and high temperature. So, for a lustre that only a chrome plated finish can give and to prolong the life of your metal parts, have them quality chrome plated at Vinci Chrome. Vinci Chrome has been rejuvenating and protecting car and engine parts, motorcycle parts, boat parts, ornaments, bath room fixtures and fittings, architectural hardware, brassware, lighting and silverware for more than 20 years. 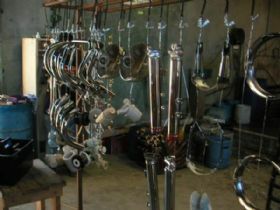 Our top-quality restoration chrome plating is unequaled in the industry and our experience in the business means we can give you a level of service no one else can. We chrome badges, grilles, bumpers and do minor repairs, over riders, door levers and handles, engine parts, bolts, hub caps, exhausts, strips and covers.